Facebook is one of the most popular social sites globally. Facebook was established on 4th of February, 2004 after Mark Zuckerberg launch "Thefacebook" with the website thefacebook.com. 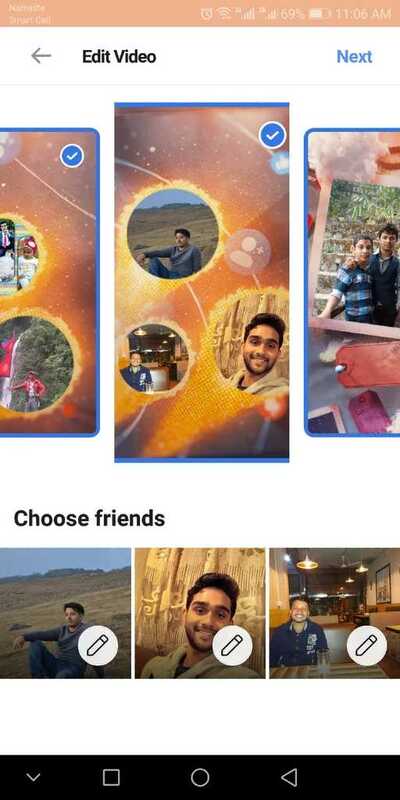 Facebook was called Thefacebook and on the memory of its launching day, the Facebook team provides to its user the service to create Facebook friend's day. Literally, it's for the celebration of facebook birthday. 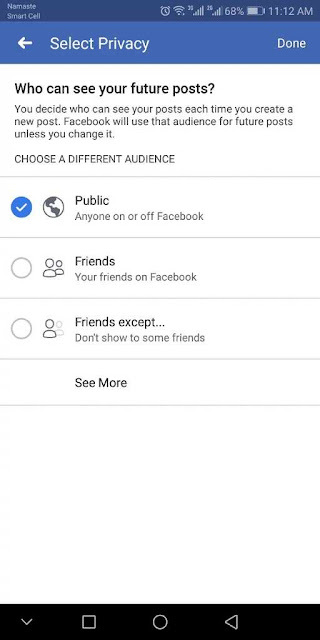 Facebook creates a video for your friend and allowed to share your videos with a friend in the Timeline and in their messenger. The founder of the facebook had written a program called "Facemash" in 2003 while he was studying the second year in Harvard University that site used to compare two people where the user can select either hot or not that is illustrated in "The Social Network" movie of 2010. This site spread quickly around other campus and which a few days later shut down by Harvard University administration. Mark was expelled with charges violating copyrights and individual privacy. Then, after he went through the code for a new website called the "Thefacebook" at thefacebook.com. Later, the company remove 'the' from its name and recognize as Facebook after purchasing the domain facebook.com for the US $ two hundred thousand which belongs to AboutFace Corporation previously. Since the development of the company is exponentially growing and the improvement is made to overcome several errors and outcomes. The final product would never be achieved that should be dynamic and should incorporate peoples requirement, needs, and preference. Facebook is constantly upgrading according to user preference and making tools that allowed people to engage more with Facebook. Making the product a more user-friendly and easy place to share thoughts and opinions. Visit the link: https://www.facebook.com/friendsday or you can click on 'Memories' below Explore. Then you might see there: Together in friendship below Friends Day. It states that Friendship is all about the moments we share together. We're creating a vide just for you and your friends. Check back soon to watch it. When facebook provides the service then the video can be edited or share as it is to your friend. You can edit it to make it ready for particular friends or a particular group of friend circle. You can open your video provided by Facebook for you. 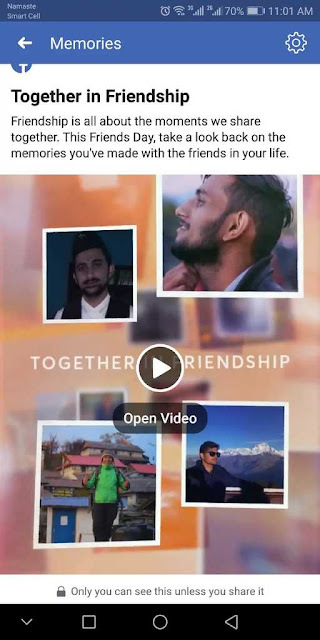 Now, you can click on Edit and personalized the video based on the group of friend to who you intended to share Or you may share as it is. When you click on 'Edit' you get as shown in the figure below shown in the screenshot with your facebook friends picure. Choose your close friend instead of not a close one or unpreferred or the friend with you wish to be seen in that video. You have to click on "Edit symbol", the pencil to change profile pic to your desired facebook friend. When you finish editing click on "Done" on the top right side" then you can share this video in your profile or to freinds specific or in messanger. 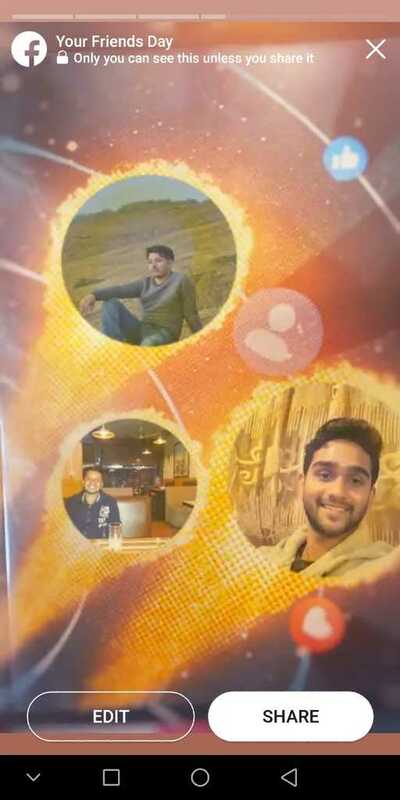 It is a simple process with some animations with friends profile in the center. This allows you or any facebook user to create a facebook friends day video to your friends and share him/her with what you think about him/her.